My third audax. This one had a route that was not too dissimilar to the Burgess Hill Springtime Classic sportive, incorporating bits of the Ashdown Forest and the fearsome Cob Lane. It also threw in Ditchling Beacon at the end! The only one of those that scares me is Cob Lane. Weather-wise we were very lucky. The forecast was for a warm day (20ºC) with a strong southerly wind and a risk of showers. In the end it stayed dry the whole time and the wind didn’t prove too much of a hindrance. The lanes, however, were full of muck and debris from recent heavy rain. 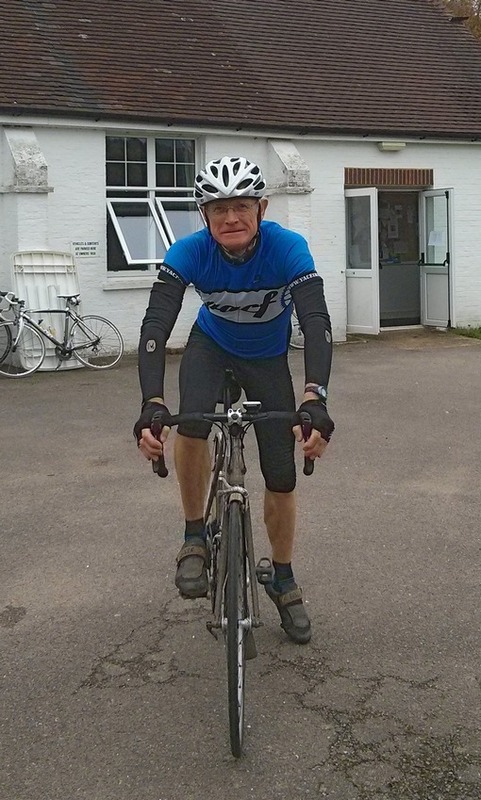 I drove to the start at Chailey Parish Hall on the A275, getting there at 8:15 AM. I duly collected my brevet card, met my friend Alan and we all set off at 8:30. I wore a rain jacket just in case. As you can see from the elevation profile, the hills started straight away and didn’t really let up, the two flattest sections being either side of Ditchling Beacon near the end. As usual, being an audax, we were tasked with finding out bits of information en route to enter into our brevet cards. The first of these, at 5 km, was “distance to Barcombe”, which we had to glean from a sign-post. This one we found easily. The first manned checkpoint was at 20k, where we had our card stamped and our time recorded. I was getting very warm in my rain jacket so I took it off and stuffed it in my spare bottle cage. We had the wind behind us up the Duddleswell climb, so I took advantage of this and managed to complete the climb 20 seconds quicker than I had back in August. The next info point was located at 38 km. The trouble is that my Garmin measures in miles so I had to keep converting in my head. I rounded it to 40 km and converted to 25 miles, but there was an added element of error caused by the fact that I hadn’t started my Garmin until ‘some distance’ into the ride, which I guessed (incorrectly) as 1 mile. Suffice to say we totally missed the info point. We turned around at Forest Row to go back and find it, but there was no way of accurately working out where it was. In the end, a friendly rider gave us the answer, so we turned around again and carried on with the ride. The last time I did Cob Lane, the rider in front of me stopped as soon as he saw the hill and I had to slow right down to avoid him. This time I screwed up at the bottom by going into first gear way too early to find my legs spinning like mad, so I lost the momentum I’d gained from the approaching descent. In fact I thought my chain had come off! Still it wasn’t long before the road reared up in front of me and first gear was the only gear to be in as I immediately got out of the saddle and ground my way up that first section. There’s a bit in the middle where it eases just long enough to sit back down in the saddle and give your legs a break from the pain, but it’s only a few metres before the gradient kicks up again as you head for the final bend. I knew that once I was round that it was a short distance to the end. 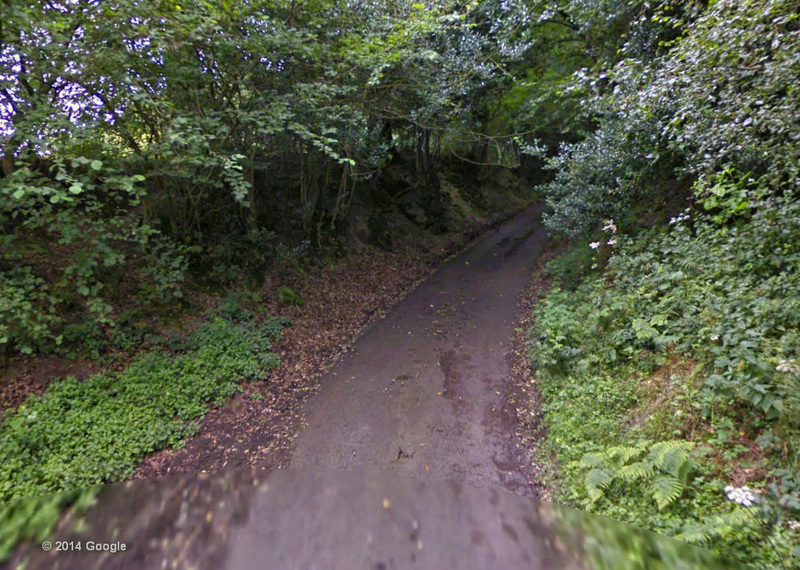 In fact Cob Lane seemed much shorter this time – maybe I’m getting used to it. This was the first time I had been up this hill with the temperature above 4ºC, so it was the first time in shorts. I managed to do it 24 seconds quicker than my previous best. I’m really pleased with that, especially as I had an because of the wrong gear at the bottom! About 1.5 miles later came the climb of West Hill near Ardingly Reservoir, after which was the village of Balcombe where the next Info control was located. This one was rather cryptic: “At Balcombe, number on post”. Which post? There were loads, quite a few of which had numbers on. We, along with lots of other riders, gave up on it after riding up and down looking for the bloody post! And so we made a note of any old post and moved on. Half a mile later my Garmin indicated that we should veer off right, but two other riders said it should be straight on. Two against one, I accepted their call. Half a mile later we realised my Garmin had been correct, so we turned around and headed back to the turn-off which took us down a particularly narrow and muddy lane which, in turn, led to the particularly narrow, muddy and steep Rowhill Lane, which ramped up to about 19%. 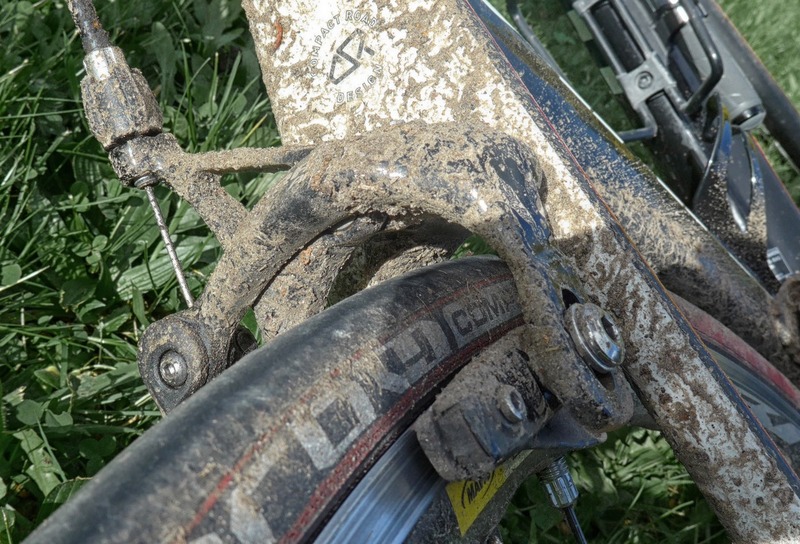 I was determined to stay in the saddle to keep my weight over the rear wheel because the road was so muddy that if I stood up I almost certainly would have lost traction, and that would have been it! It was steep enough to feel the front wheel lifting. I was actually amazed that I made it to the top without slipping – it was certainly the most technical hill climbed today. Five miles later came the checkpoint and food stop where we scoffed a hot dog and some coffee. Deak’s Hill, a short 16% climb, was the only thing of note between us and Ditchling Beacon, another ten miles further on. I was dreading DB, thinking that the southerly wind would pose a real problem. For some reason I thought there was a manned control at the top of the Beacon, so just before the climb I emptied my water bottle to save weight. I found the climb quite reasonable again, the wind not really having any effect on the sheltered leeward side of the hill. I did the whole thing in second gear, same as before. When we reached the top I realised that it wasn’t a manned control point and there was no water available, so I had to finish the rest of the journey without hydration. There was only nine ‘gently undulating’ miles left and four of us completed them at an average of 19 mph. It was an exhilarating end to the ride, same as the last audax. In fact I was enjoying myself so much that I went flying past the finish! About a mile before the end I had felt something touch my leg and I realised that my saddle bag had come loose, but luckily it stayed attached just long enough for me to reach back and grab it while still riding and I held it in my hand on the bars until the end. Back at HQ we got our cards stamped and checked. Talking to other riders in the hall it seemed that quite a few had missed that cryptic ‘number on post’ info control. After grabbing a drink and some cake, I set off to London where I had a prior engagement. 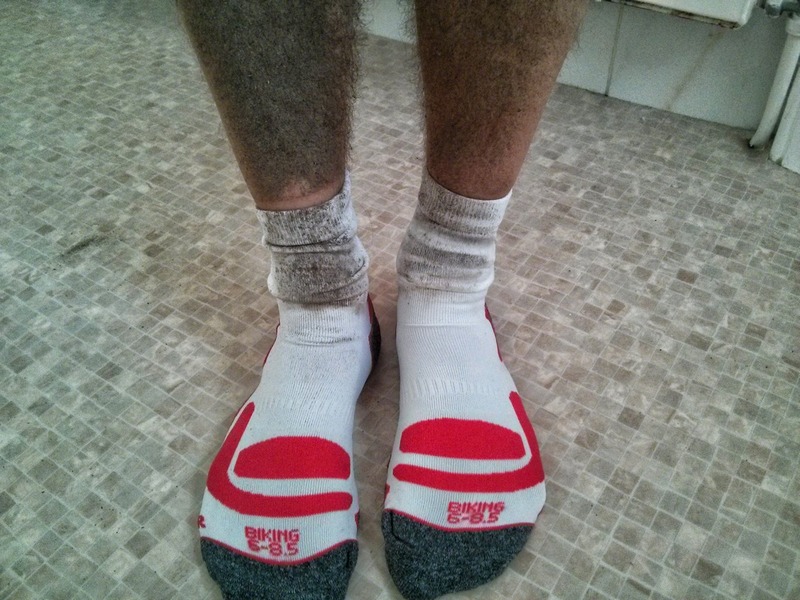 During the drive I was aware that I was very grimy – I seemed to be covered in a thin layer of grit and grime! Luckily I could get a shower at my parents house on the way there. That’s when I realised how muddy I was. Must remember to switch to km, not miles, for the next audax so that I don’t have to keep converting distances in my head. I can’t work out if I hate it or love it, but I’m beginning to think it’s the latter. Don’t change into first gear until you have to. …unless you know there’s a refill point coming up. An extenuating circumstance is some reason why you were hindered from performing at your very best. ECs allow you scope to improve next time, even if you put the same effort in! 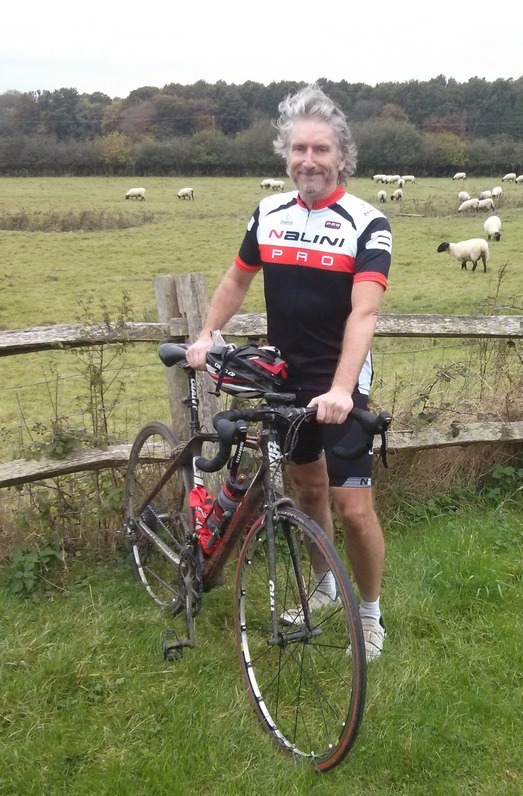 This entry was posted in Audax by Vince. Bookmark the permalink.